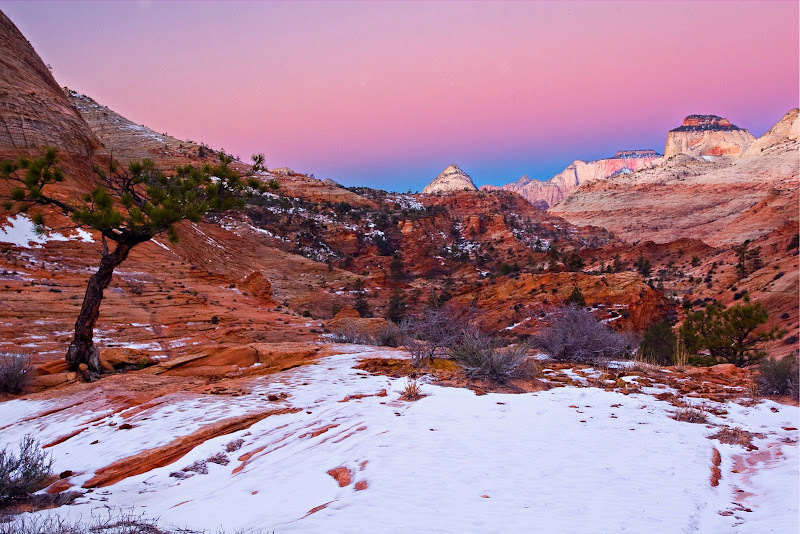 As I walked through Zion in the early morning hours, the rising sun changed the sky to soft colors of pink and purple. Gorgeous!!! The title says sunset, but the description says sunrise. I'm guessing sunrise is accurate. Thanks for the fast catch! It's late here in Vienna (post was made around 11pm) so I'm going to blame it on that! Thanks for watching!